RDA Sunshine Coast operates a small permanent and part-time staffing structure that minimises administrative costs and ensures that all funding is used effectively. RDA Sunshine Coast contracts in expertise when it is required to complete projects and tasks as they arise. RDA Sunshine Coast uses local providers where possible to ensure that it supports and develops the local community. RDA Sunshine Coast has developed a list of contractors who are competent and able to assist in key functional areas such as marketing, strategic planning, social research and innovative technologies. Paul has more than 25 years’ international strategic and operational leadership experience, in sectors as diverse as logistics, international humanitarian aid, digital media and social impact. He has performed CEO, Managing Director and Board-level (NED) roles in high-growth start-up SME to established national and global enterprises. Paul also has more than 20 years’ experience in the Australian digital media industry, served on the Board of the United Nations International Children’s’ Emergency Fund (UNICEF) Australia, led commercial organisations both in Australia and across the Asia Pacific region, and was a member of the Sunshine Coast Council Knowledge and Professional Services High Value Industries Task Force. 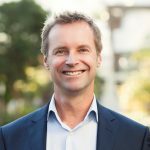 Most recently, Paul was the CEO of The UnLtd Foundation, the media, marketing and advertising industry foundation focused on undoing youth disadvantage in Australia. Paul has also coordinated emergency humanitarian operations in Rwanda and Kosovo for CARE Australia. He has a post graduate certificate in Change Management form the Australian Graduate School of Management. Nicole is a highly skilled, passionate and versatile communications specialist who excels at both internal and external corporate communication services. Degree-qualified, she has 25 years of experience in print and digital journalism, media management, corporate communications and PR. After a two-year stint as a Media and Communications Officer at Children’s Health Queensland Hospital and Health Service (CHQ HHS), Nicole assumed the role of Media Manager at Queensland’s premier fashion event – the Mercedes-Benz Fashion Festival Brisbane and Principal Communications Advisor for the West Moreton Hospital and Health Service. This follows 10 years as a senior journalist/editor at News Corp Australia and six years of freelancing for corporate and digital clients including CHQ HHS and global mining consultancy, MEC Mining. Sarah is an environmental scientist with 15 years’ multidisciplinary research and professional experience in government, academia, and consulting organisations. She has proven experience in establishing and maintaining key stakeholder relations at community, regional, state and international levels. Her strengths lie in strategic fundraising, grant and business-case development, project management and peer-reviewed publication. Her previous roles include Associate Director, Development at The University of Queensland’s Faculty of Engineering, Architecture and IT and Final Project Coordinator and Partnerships Manager for the International WaterCentre. Sarah is passionate about developing collaborative partnerships to progressively achieve meaningful and impactful outcomes.